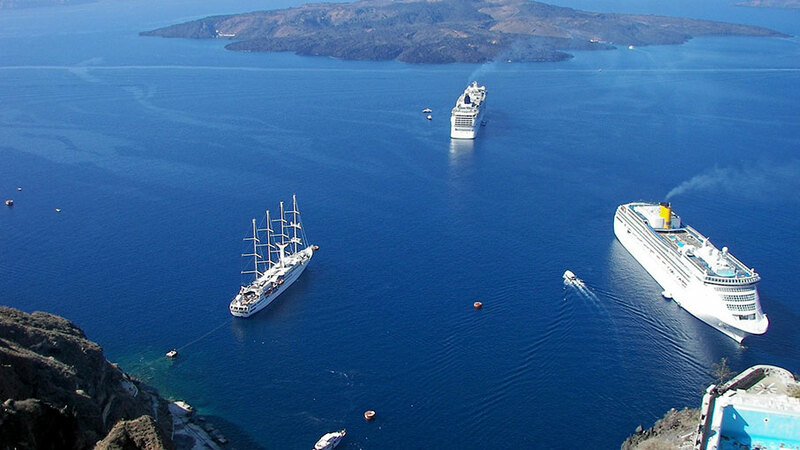 Poseidon Charters has prepared several magical wedding and honeymoon packages in the Greek islands. Couples have the choice of getting married or honeymooning while on a sailing holiday or at one of our fabulous island retreats. Alternatively guests can do a little a both with our unique ‘surf and turf’ package which allows a week on the water sailing and a week in one of our exotic five-star island villas. Let us pamper you from the moment you step off the plane in Athens. We can offer luxury beyond expectations, like spas with private pools, marble baths in your hotel room and views of the spectacularAcropolis! We will make your perfect honeymoon something to remember forever! Romance under the stars on the most beautiful of all the Greek islands, Santorini. This dramatic volcanic island is the perfect setting for weddings and honeymoons. Mythologically, Santorini captivates visitors as it is considered to be the island of the lost civilisation of Atlantis. The island is full of history including fascinating Akrotiri, which is an entombed Minoan town that has preserved history as a time-capsule since 1500 BC. Uncover the island’s natural beauty by visiting its many beaches, small coves and hiking trails. We offer five-star secluded villas with private patios and breathtaking views for honeymooners or wedding parties. Many of our accommodations blend right into Santorini’s fantastic geological formations. Wedding packages start from simple civil services for couples to religious wedding ceremonies organized for larger groups. We offer full wedding services at the enchanting island of Hydra. Hydra is a 45 minute ferry ride from Athens and it is one of the most beautiful and picturesque islands in Greece. It has been an international artists colony for years, making it a mix of the fashionable jet-setter and the bohemian. It has maintainedits charm as the ancient marble and cobblestone streets are for pedestrians as there are no motorized vehicles allowed on the island – only donkey power on Hydra! Civil or Greek Orthodox weddings are performed all season; May through October. The mayor of Hydra performs the civil ceremonies at a chosen location in the town. We recommend the gazebo up at the Sunset lookout point. It has a panoramic view of the Saronic Gulf and the sunset over the mountainous Peloponnese coast. The bride can be brought by pony or water taxi to the location and the Sunset restaurant is the perfect choice for the reception evening. Guests can also be taken by boat to secluded beaches on the island for champagne celebration. 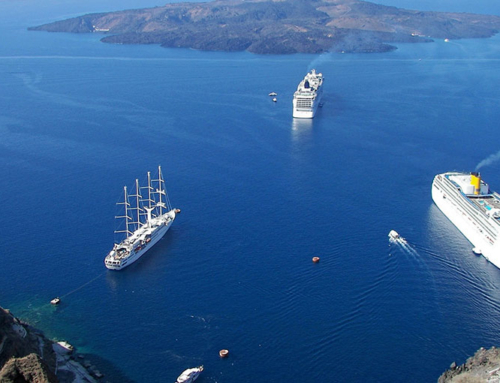 Each year adventurous honeymoon couples join our ‘Aegean Adventure Cruise’ and ‘Flotillas Program’. Honeymooners are given the same support and assistance as all the flotilla guests except we make it a little more special. It is highly recommended to do a week of adventure sailing, then combine it with a week of relaxation at one of our fabulous villas on the breathtaking island of Santorini or enjoy the luxury comfort of our hotels in Crete or Mykonos! Ferry transport, hotel / villa accommodation, car rental and flights are all arranged through our office. -A wedding license from your home community. -Both must be translated into Greek and stamped by the Greek embassy in your home country. -A valid passport from both bride and groom must also be presented in Greece. -Minimum of three months advance notice for reservations at the mayor’s office but last minute scheduling is also possible based on availability. We offer a variety of packages for couples and large wedding parties.